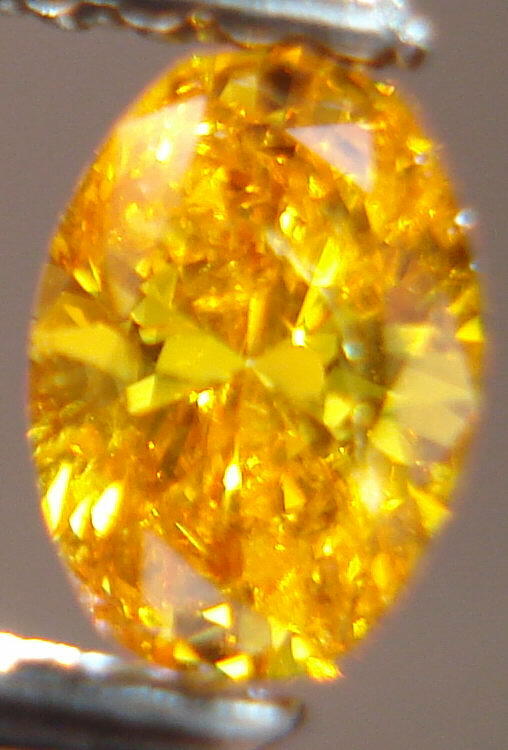 GIA graded the diamond "Fancy Vivid Yellow-Orange ". 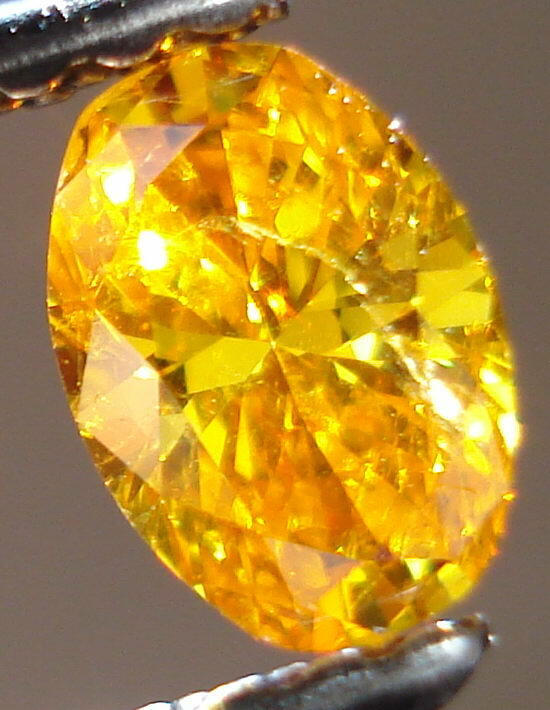 The primary color is Orange. 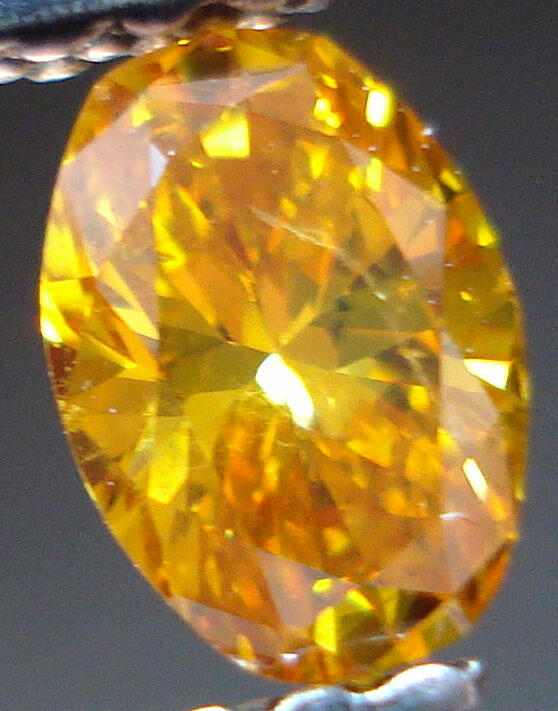 There is a noticeable component of Yellow in this color- not at all a negative thing! 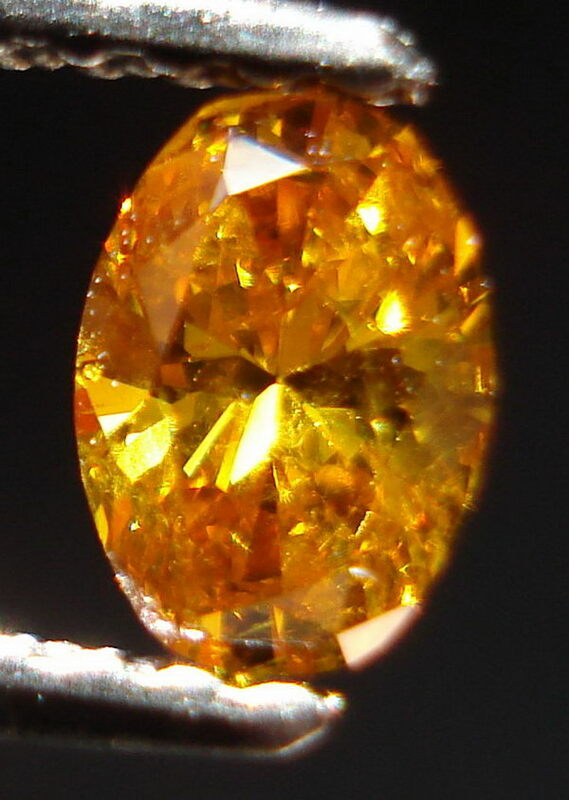 The stone has remarkable color. 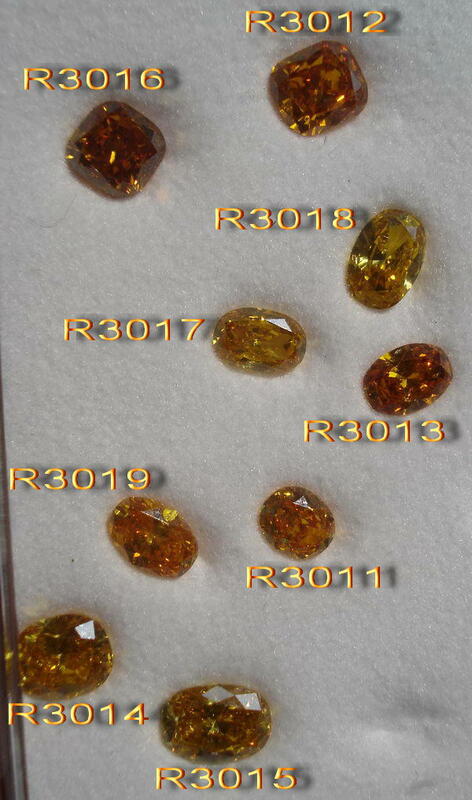 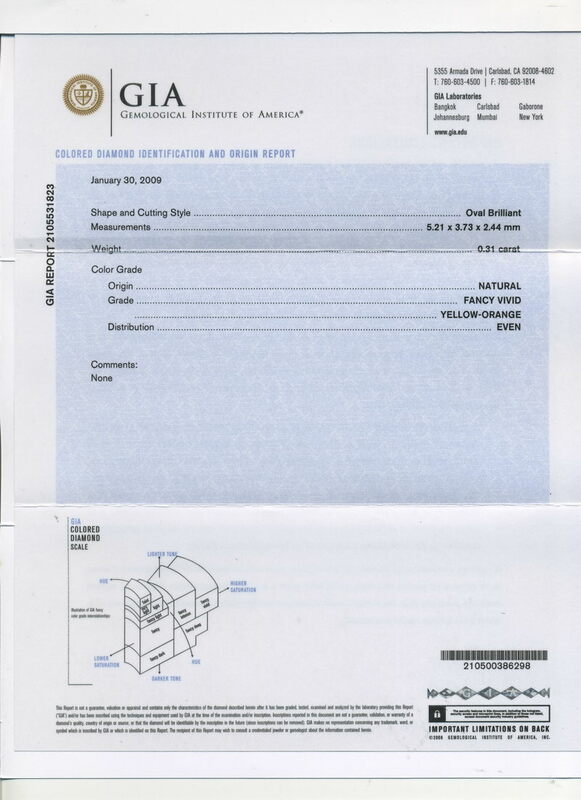 The GIA report is for color only- we graded the diamond SI2 clarity due to a grain line visible in these photos. 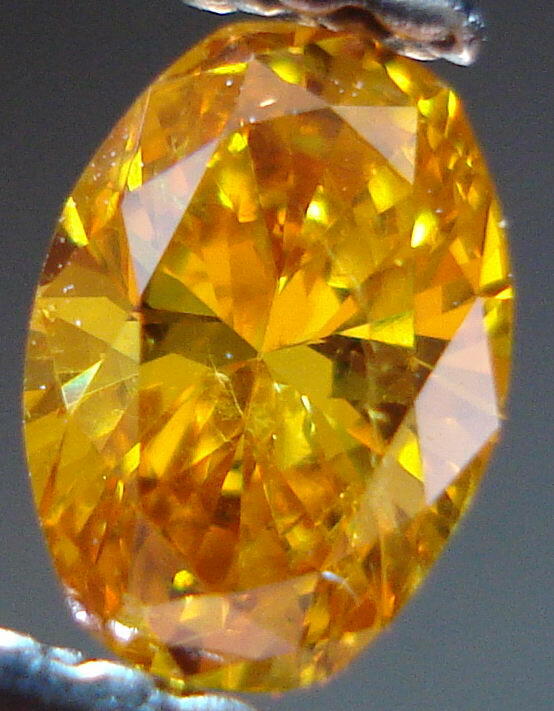 The intensity of color makes it extremely difficult to see this in real life.